Additionally, First Class Wheel and Tire Protection “Plus” is now available as a part of the Mercedes-Benz Appearance Package. *Road hazards are defined as debris on a public roadway such as nails, glass, potholes, rocks, tree limbs, or any other object or condition not normally found in the roadway. Road conditions (such as uneven lanes or metal plates) found in construction zones or construction sites are not considered a covered road hazard. Damage or accidents caused by these conditions should be reported to your automobile insurance company. Certain exclusions apply. **Contact your Mercedes-Benz Dealer for contract details and additional questions on coverage. 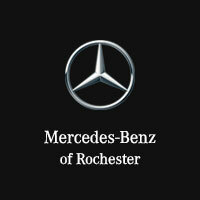 Mercedes-Benz of Rochester	42.6724135, -83.1321802.